What are your plans after UNG? Short term: Go into the film industry working as a director of cinematography. Long term: own my own film production company. 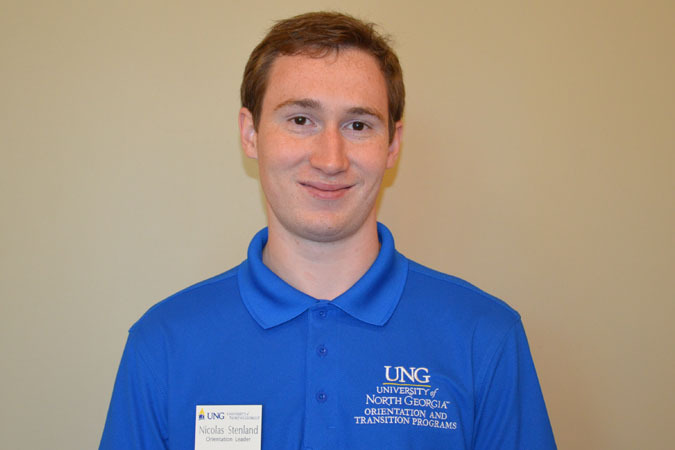 What advice do you have for new people to UNG? Get involved, step outside your comfort zone and experience all you can. What is your favorite memory of your time so far at UNG? Joining clubs and the orientation leaders! Planning club events and going to SROW! What will you be involved in at UNG during 2018-2019? I will be either VP or President of Communication, Media, and Journalism club (CMJ club). I will also be president of S.T.E.P. I will also be the treasurer of L.E.O. I will also be attending classes at Gainesville.